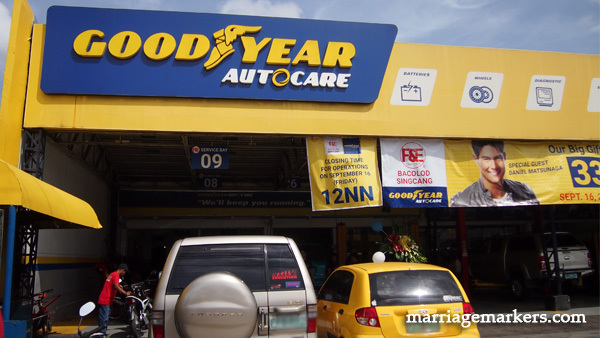 F&E Goodyear Autocare at Bacolod-Singcang. 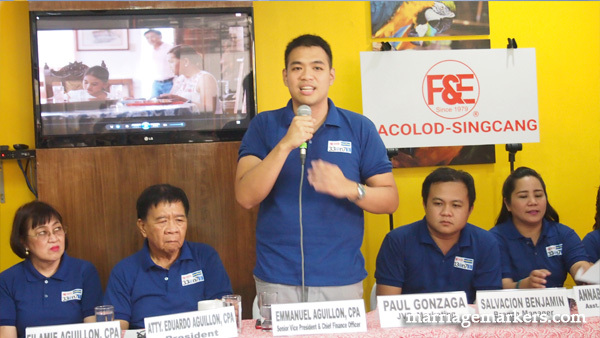 F&E Family of Stores (Automotive) opened the biggest and most advanced automotive store and service complex in the Visayas and Palawan last September 17, 2016 – the F&E Bacolod-Singcang Goodyear Autocare. It now has 33 services bays that can serve customers 7 days a week. This expansion from the original 11 service bays to 33 service bays at present has paved way for more vehicles to be covered by basic services, such as Wheel Alignment, Wheel Balancing, Tire Rotation, Tire mounting, Vulcanizing, Oil Change, Brake System, Engine Repaint, Tune-up, Suspension and Transmission,Clutch System, Steering System, Under chassis Repair, Cooling System, Belts, Air-conditioning, Electrical System, and Basic or Comprehensive Preventive Maintenance Services. More, F&E Goodyear Autocare is happy to announce that their servicing at the Bacolod-Singcang branch is now further extended to Medium and Heavy Duty Trucks. They are also the Spare Parts and Service partner of Hino Trucks in Negros. “This is our big gift to the Negrense motoring community after 23 strong years of patronage and trust they gave the F&E brand of service.” said Emmanuel S. Aguillon, Senior Vice President and Chief Finance Officer of F&E Group, the parent company of F&E Family of Stores (Automotive). Senior Vice President and Chief Finance Officer Emmanuel Aguillon, son of the Filamie and Eduardo of the F&E empire, welcomed the media to the grand launch of F&E Bacolod-Singcang. Vehicle owners in Bacolod and motorists passing by Bacolod can now avail of quality automotive care and services from Monday to Sunday. 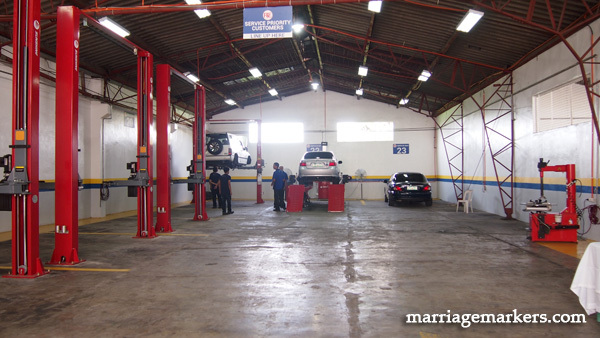 The weekends are really a plus for their service because most people who have week-day responsibilities would surely want to have their cars maintained during weekends. Recently, F&E added the Sunshine brand to its business portfolio, making the company the home to a nationwide distribution of world class brand of Automotive Service Equipment, such as wheel aligner, wheel balancer, tire changer, and lifter. This development leveraged the modernization of all the eight branded service centers operated by F&E in Panay, Negros, and also in Palawan. The brands covered in this development are the Goodyear Autocares, Valvoline Service Centers, and a Bridgestone Service Center. Sunshine automotive equipment feature in the service bays of F&E Goodyear Autocare at Bacolod-Singcang. Leading the battery of innovative technology available at the new F&E Bacolod-Singcang Goodyear Autocare is Sunshine 3D 360 Degrees Wheel Aligner. This compact and portable digital alignment system can move from one service bay to another and point at any direction with auto adjust laser bar resulting to improved precision – making sure the wheels of your vehicle are at the right angle. Your tires get even tread wear and optimum mileage. The new All Brand Car Scanner is now available and can get modern vehicle diagnosis at the fingertips. This technology, usually offered at brand specific franchise car dealers is now available at F&E for all brands of modern cars, pick-up trucks and SUVs. Motorists get the peace of mind knowing the vehicle is running in good shape and adjustments are made before things get worse. 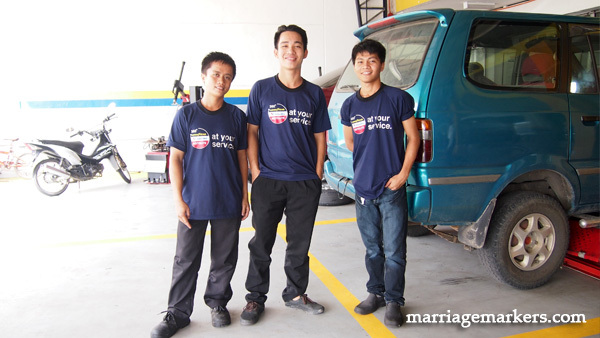 To make F&E a truly one-stop-shop for automotive care, they have new services as well. These are Brake Lathe, Repainting, Collision Repair and Car Wash.
Another plus in the new F&E Goodyear Autocare is that t waiting has become more relaxing and entertaining. They now have what they call the F&E’s Motoring Family Lounge and Café. It is complete with meals, snacks, and comfortable amenities to make waiting a little bit easier. 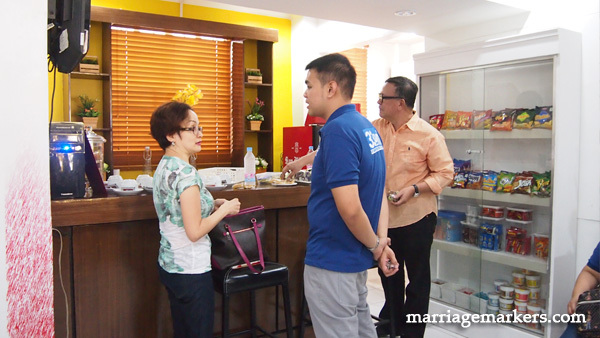 The cafe of F&E Bacolod serves snacks and meals to clients waiting for their vehicles being serviced. They also have a comfortable waiting lounge with TV, restrooms, and wifi. This is indeed a wonderful development in the autocare industry of Bacolod and the province of Negros Occidental, as we are seeing more and more cars being purchased everyday. Each service bay has a personnel handling it.